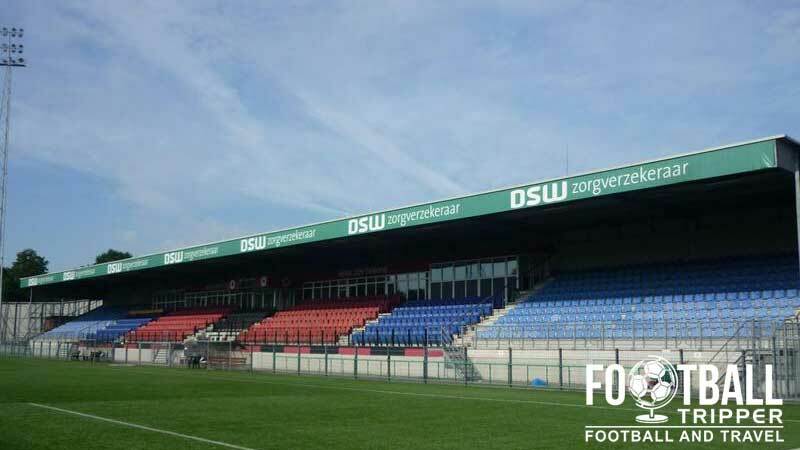 Stadion Woudestein is the home stadium of small dutch side S.B.V. Excelsior, commonly known by the cooler name of Excelsior Rotterdam. First built in 1902, today’s 3,531 capacity ground bears little resemblance to the original, with the last major renovation occurring between 1997-2000. Stadion Woudestein first opened back in 1902 when the ground was known as a multi-purpose sports venue with Excelsior’s first tenancy cut short when the owners of the land wished to use the site for horse-racing. The club opted to alternate between the stadiums belonging to Feyenoord and Sparta Rotterdam until the late 1930s when Excelsior permanently moved into the newly constructed facilities. Consisting of a single grandstand and dressing room designed for military use similar to KV Mechelen’s Achter de Kazerne in Belgium, Stadion Woudestein housed anti-aircraft guns during the Second World War and it wasn’t until the 1950s that the stadium began to expand with the construction of new stands. Steady expansion and infrequent renovations characterised the proceeding 40 years until the 1990s. Spearheaded by Netherlands co-hosting the Euro 2000 tournament with Belgium, clubs such as FC Twente, NAC Breda and Vitesse opted to completely rebuild their grounds although only five stadiums in the country actually hosed Euro matches. Stadion Woudestein’s changes were not quite so dramatic with the club initially clearing the way for a single stand to be built in July 1997 although work was delayed for over two years as due to unforeseen financial difficulties. Eventually the work on two modern grandstands was completed three years later on the 31st July 2000. During the first half of the 2014/2015 season a small renovation took place which saw the old blue seats replaced with red seats. 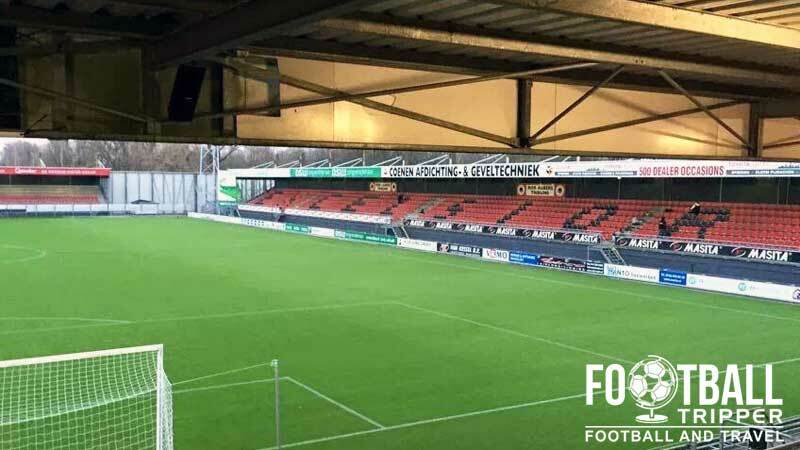 The new colour scheme which also includes some black seats, now accurately reflects the club’s traditional colours and helps strengthen Excelsior’s visual identity. Stadion Woudestein is comprised of four stands: North, East, South and West. There is even a stand named after Robin Van Persie who started his career playing in Excelsior’s youth team and today is a club ambassador. 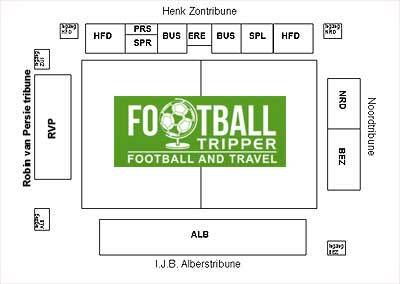 Click the thumbnails above to enlarge an image of each stand and to read a more detailed description of each part of the stadium provided by Excelsior fan Robert Hagen. Away fans appear to be housed within the eastern half of the Noordtribune – at least if the above seating plan is anything to go by. With the fan shop at the stadium only open on matchdays and the reception stocking a limited range of Excelsior merchandise you might be better off visiting the club’s official online store instead. 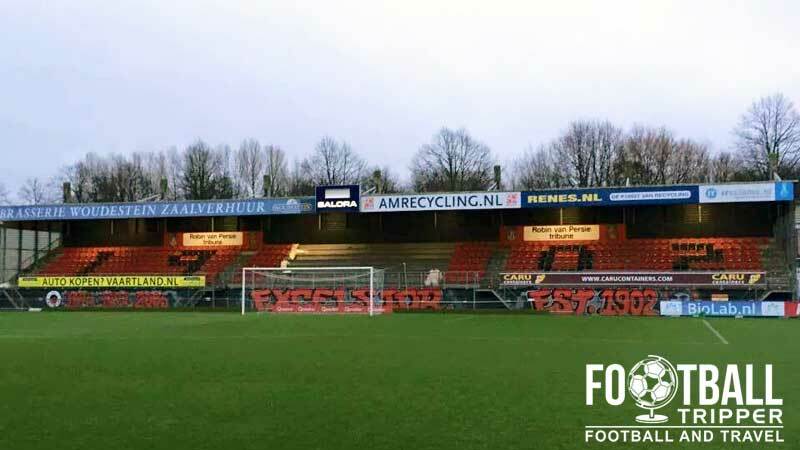 It doesn’t appear as if Excelsior currently offer fans the chance to undertake a tour of the facilities at Woudestein Stadium. Should this ever change we’ll be sure to update this section. Tickets to see S.B.V Excelsior in action at home can be purchased through the usual channels including online and in person from the club’s main reception during the working week typically 9.00 am – 5.00 pm. Please note that prices increase by a few euros the half a dozen or so high-profile fixtures each season. 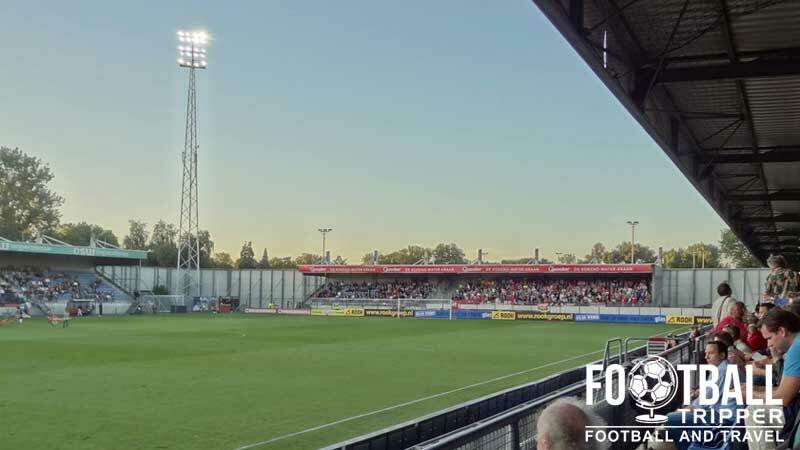 Stadion Woudestein sits 3.1 km east of Rotterdam’s city centre which equates to a walking distance of around 40 minutes for the average Football Tripper. The shiny facade which forms the main entrance of Stadion Woudestein. There are three car parks located at Woudestein stadium however only P4 offers unreserved parking which operates on a first-come first-served basis. Excelsior’s stadium is served by the Woudestein, Rotterdam, tram stop which is located less than few hundred metres south of the ground. From the central station and plenty of other places around the city you can catch trams number 21 and 24. The platform of Woudestein’s traim station outside the stadium. The stadium can also be reached via buses 36 and 98 which both share the Woudestein stop next to the tram station. The nearest international airport is called “Rotterdam The Hague” and it sits 6 km north-west from the centre of Rotterdam. The third largest airport in Netherlands by number of passengers served, upon landing you can catch shuttle bus 33 to the RandstadRail Metro Line E which will take you to the central railway station. The closest hotel to the ground is the Novotel Brainpark just across the other side of the Rotterdam School of Management’s campus however there are plenty of other accommodation options back towards the accessible city centre such as The Student Hotel. Around the central station you will find the usual suspects including a Holiday Inn, Hotel Bienvenue and the Hampshire Hotel.